It is important to follow these tips to avoid weather related car accidents this winter in St. Louis. As we brave the cold this winter in St. Louis, it is time to think about the dangers of winter driving as well. Every year, St. Louis car accident attorneys come across several cases in which poor weather conditions are the cause of serious car accidents. Car accidents can happen anytime, anywhere and often when you least expect it. Even if you find the weather particularly safe to drive on a certain day, there could still be hidden ice pockets in divets, potholes or along the shoulder. If you live in a particularly cold area then you face the risk of ‘black ice’, which causes accidents due to unnoticed and unexpected icy conditions, often at night. So, it is important that when you’re driving at a time when the temperature is below freezing, you should be particularly cautious. Put away all distractions – distracted driving increases the risk of winter weather accidents. Due to the proliferation of hand held electronic devices, distracted driving has reached a whole new level, putting lives at risk. While travelling in winter, you must avoid the temptation to answer phone calls or check messages or emails. In the case of an accident, the first thing that a police officer would check is whether the driver was engaged in some type of distraction, such as speaking on the phone or texting at the time of crash. This can make matters worse for the driver. Drive at an appropriate speed. It is needless to say that one should slow down when driving in snow or ice. You should consider adjusting your speed to fit the weather conditions and drive below the posted speed limit if required. If rain, snow or sleet are falling, you should take immediate notice and adjust your speed. Avoid driving in extreme inclement weather, if possible. Do not try to brave white out storms and blizzards. 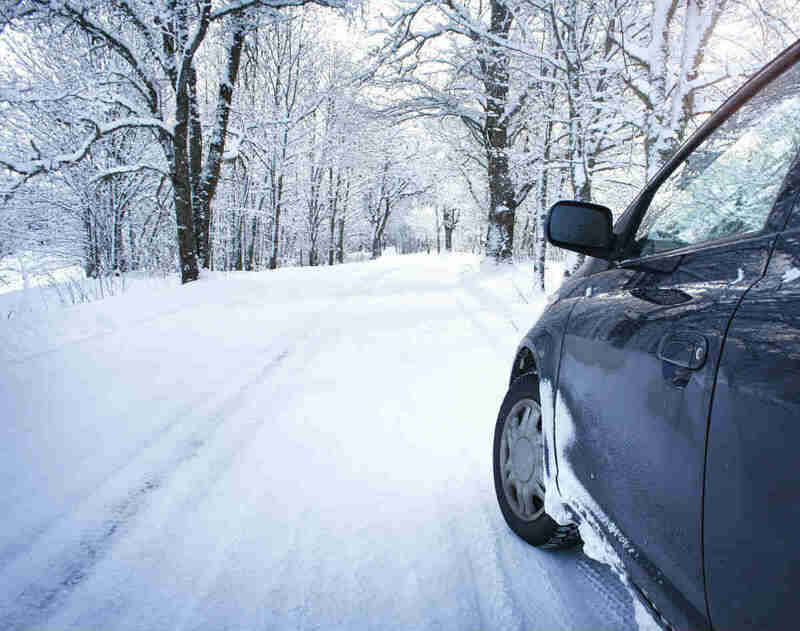 Driving in severe winter weather drastically increases your risk of being involved in a car accident. It may also be harder for emergency services to assist you. Be reasonable – under the laws of negligence, you may face liability for engaging in dangerous behavior while driving. Such behaviors include speeding, failing to adjust driving patterns according to weather or following too closely. In case of a car accident lawsuit, the plaintiff has to prove that the driver at-fault failed to follow reasonable standards of safety given the circumstances of the accident. If you or a loved one has been involved in a car accident, contact The Hoffmann Law Firm, L.L.C. today! Do not discuss the accident with any insurance company as they will try to minimize your claims. At The Hoffmann Law Firm, L.L.C., we provide efficient and practical legal help for auto accident victims throughout Missouri and Illinois. Attorney Christopher Hoffmann has more than 15 years of legal experience and has handled hundreds of auto accident cases. Call us today at (314) 361-4242 or fill out our online contact form to request a free and private consultation.